In October 2015, the Buy-to-Pay (B2P) project team in the Office of the Vice President for Finance (VPF) and Information Systems and Technology (IS&T) began the design phase of a system to improve the community experience by transforming the process of buying and paying for goods and services at MIT. 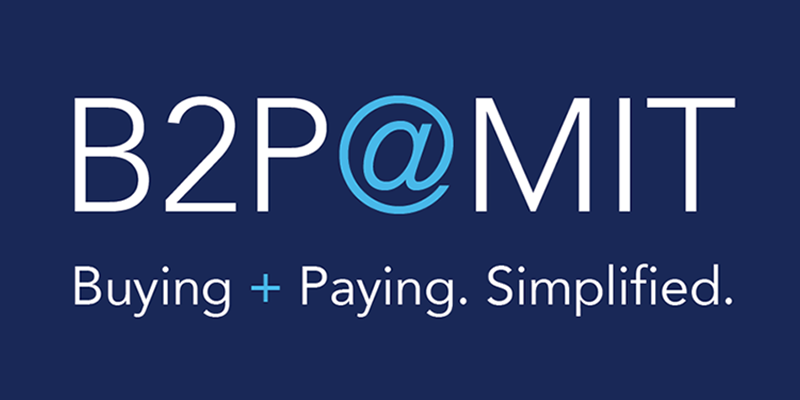 The B2P redesign encompasses some policy and process changes, as well as the rollout of a new end-to-end system for buying and paying. With input from the User Advisory Group ? made up of 38 members from across the Institute ? the team completed the foundational design and is configuring the system in preparation for a pilot in May. The system will be rolled out to the MIT community in late 2016 into early 2017. The B2P team has shared project updates and demonstrations with groups across the Institute and continues to engage the community to gather input and feedback. The team welcomes requests to present, as well as questions and comments, by email to b2p@mit.edu.